View and book from over 10 villas from 475 AUD per night. Book with peace of mind with our Price Guarantee and local customer support. Located In Seseh Beach Overlooking Indian Ocean, This Stunning 4 Bedroom Absolute Beachfront Villa Offers The Ultimate Beachfront Villa Experience In Bali. One of Bali’s few true beachfront villas, this 2 level contemporary villa has 3 bedrooms all looking over the beach and 2 connecting pools in expansive tropical gardens. The villa is located along the magnificent southwest coast with breathtaking views of volcanic mountains, the Indian Ocean and theworld famous Tanah Lot temple. 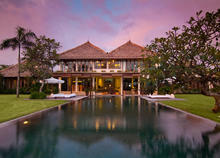 he villa offers a divine design of modern-day luxury and simple Balinese beauty. Located in Seseh Beach overlooking Indian Ocean, this stunning 2 bedroom absolute beachfront villa offers the ultimate beachfront villa experience in Bali. 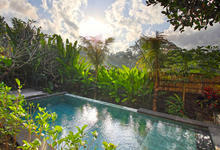 Set in beautiful rice fields on the southwest coast of Bali, Seseh. This villa complex takes you back to the very essence of this beautiful tropical island. Located In Seseh Beach Overlooking Indian Ocean, This Stunning 12 Bedroom Absolute Beachfront Villa Offers The Ultimate Beachfront Villa Experience In Bali.